PS: Remember the fires in Sonoma County not too long ago? Smithers is one of the survivors, and the Sonoma County Humane Society is hopeful Smithers could still be reunited with his hoomins. Thank you, Mike, for the heads up. The SHS asked for sharing at the end of their post on FB and here is their progress report. 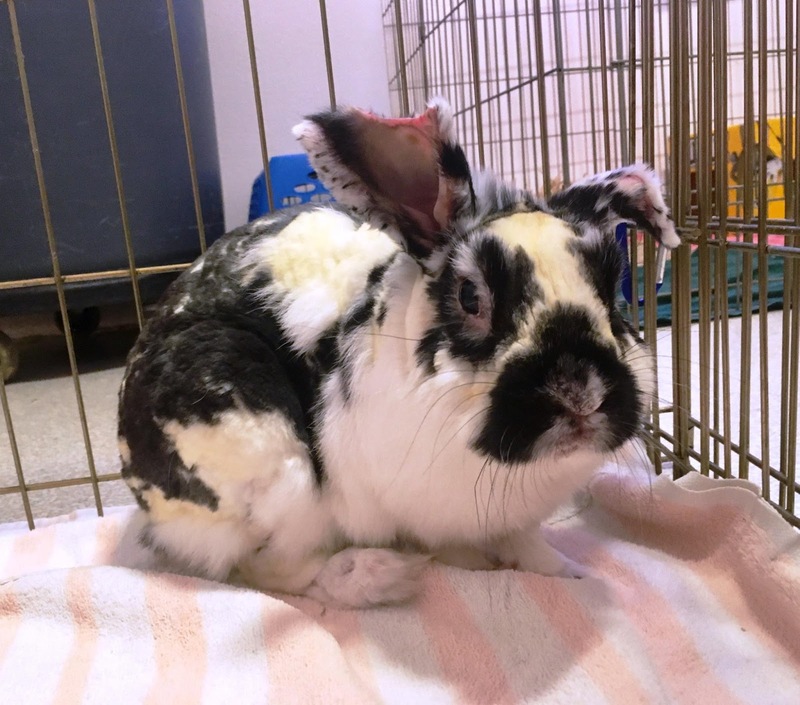 Smithers the bunny was found on 10/11/17 at the end of Coffey Ln (nearest cross street Dennis Ln) in Santa Rosa. The finder states that she also saw a white bunny and chickens and that the nearest property was burned and had a brick gate. 10/19/17: We are taking it day by day, he will obviously need some toes amputated, but his ear is looking good, his eye lids are having a tough time and we are focusing on getting the thickened scabbing off by soaking and treating eyes with drops, he is a wonderful little patient even though he must be in so much discomfort, of course we are continuing with pain meds multiple times a day as well as eye drops and antibiotics. 10/25/17: Wanted to share a pic of Smithers - we are progressing well and will be amputating toes this week and will monitor how his ears heal up. 11/8/17: Smithers is doing well. Just had a second surgery today to amputate some toes and part of one of his ears. We will be keeping him until we're sure he is recovered and doing well post-op. We expect to be able to transfer him back to you within 2 weeks time. P.S. We're still holding onto hope that his former family will see this post and recognize him. He's a 5lb male black and white English Spot mix with one ear up (right) and one ear down. He was not neutered when he arrived. Please share. What a guy - and what a bunch of helpers! Hoppy and Happy 6th Birthday, Rayla! Hoppy and Happy Christmas, Everybun!